BURGAW – Pender County offices will be closed Friday, April 19, and Monday, April 23 in observance of the Easter holiday. However, Pender County Utilities (PCU) will keep the Hampstead transfer station open Friday, Saturday, and Monday. The transfer station will close on Easter Sunday. All convenience sites in Pender County will remain open on their regular schedule during Easter weekend. 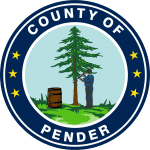 Pender County residents in incorporated areas do not receive Pender County Solid Waste decals, due to receiving (and paying for) solid waste services from their municipality. These residents are not charged a solid waste availability fee by Pender County. 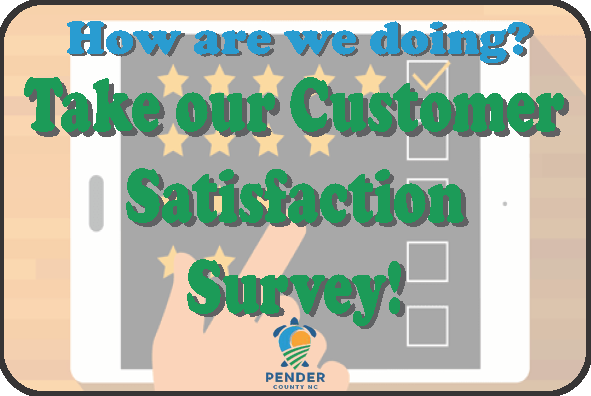 However, if residents in incorporated areas desire to utilize Pender County Solid Waste Convenience Center sites, they can pay the appropriate availability fee for the Full or Recycle-only decals to gain access. The fee charged for decals is for the complete period of service remaining for the decal. In other words, if purchased in April 2019 (when the new 2-year decal was issued), an incorporated area resident would pay for 2 years of service ($440 for Full Use, $220 for Recycle-only). This fee will be pro-rated if purchased later during the decal’s stated term. All sales are final, and no refunds will be issued. If county decals are purchased, any solid waste fees paid to a municipality will NOT be affected. You will NOT receive a refund of your town’s fees and will still have to pay your town’s fees in the future. BURGAW – The Pender County residents may dispose of their Christmas trees at the Rocky Point and Hampstead Convenience Centers for 3 weeks following Christmas. “We will accept Christmas trees through Jan. 15,” said Kenny Keel, Pender County Public Utilities director. Christmas lights and ornaments should be removed from the trees prior to disposal. The Rocky Point Convenience Center is located at 16232 NC Hwy 210. The center is open Mondays, Tuesdays, Thursdays, Fridays and Saturdays, 7 a.m. – 7 p.m. Closed Sundays and Wednesdays. The Hampstead Convenience Center is open Mondays through Saturdays 7 a.m. – 7 p.m. and Sundays 1 – 7 p.m. The Hampstead center is located at 250 Transfer Station Rd. Christmas trees left in storm-related debris piles will not be accepted by the contractor. BURGAW – Solid waste stickers for 2019– 2020 will be mailed to residents within the unincorporated areas of Pender County in mid-March. As with the previous sticker issuance, two sticker types will be available. Residents in unincorporated areas of Pender County will receive either FULL or RECYCLE sticker that corresponds with the amount paid on their tax bill for the annual solid waste fee. Taxpayers may identify the fees paid by looking at their tax bill. The S64 fee of $220/year is for FULL USE, permitting a resident to use the convenience sites for household trash and recycling. Code S63 on the tax bill with a fee of $110/year is for RECYCLE ONLY. More detailed information can be found on the Pender County Solid Waste site, www.pendercountync.gov/sw/. BURGAW – ALL the Pender County Convenience Sites will close at 3 pm Christmas Eve (12/24th) and will remain closed through Christmas Day (12/25th). ALL locations will be open on Dec. 26th and ALL locations will resume their NORMAL operating hours beginning Dec. 27th. All convenience sites will be closed Thursday in observance of Thanksgiving. In addition, the following convenience sites will be closed Thursday in observance of Thanksgiving but will be open the Friday after Thanksgiving, November 23rd. The facilities below will resume normal operating hours thereafter. Hampstead solid waste site moved to 250 Transfer Station Rd. The new Hampstead Solid Waste Convenience Site at 250 Transfer Station Rd. is now open. “The site is located on Transfer Station Road, off US Hwy 17, is between Clayton Homes and Andrew’s Sea Lawn Memorial Park,” said Randell Woodruff, Pender County manager. Transfer Station Road, which runs from US Hwy 17 to Country Club Drive, us a safer location for citizens to enter and exit, added Mack. “The Pender County Board of Commissioners moved the solid waste center from US Hwy 17 to a safer location for our citizens,” said Woodruff. The Commercial Transfer Station Scale and Scale House have been moved to the 250 Transfer Station Rd. site. Both sites are now open and available for public use. For more information regarding the new Hampstead Solid Waste Convenience Site, please call Pender County Utilities at 910-259-1570. The Hampstead Convenience Site and the Transfer Station scales will be permanently relocated to 250 Transfer Station Road. Beginning August 1, you will need to use these new locations. Both of these new facilities will be adjacent to the existing Transfer Station scales located at 312 Transfer Station Road. Operating hours will remain the same.